Our premium packs contain themed items that pertain to the specific film you select. For Canada, Mexico, or 16+ VHS packs shipping cost, please contact us. VHS Pack includes themed items. Since 2012 Rotten Rentals has been bringing nostalgia back to collectors everywhere with our VHS mystery box! We missed browsing the VHS shelves full of amazing covers that ultimately decided which film we took home that night. Our VHS Packs are full of vintage trading cards, buttons, stickers, mini zombie figures and more. Each one chomping at the bit to break out of their black plastic grave. 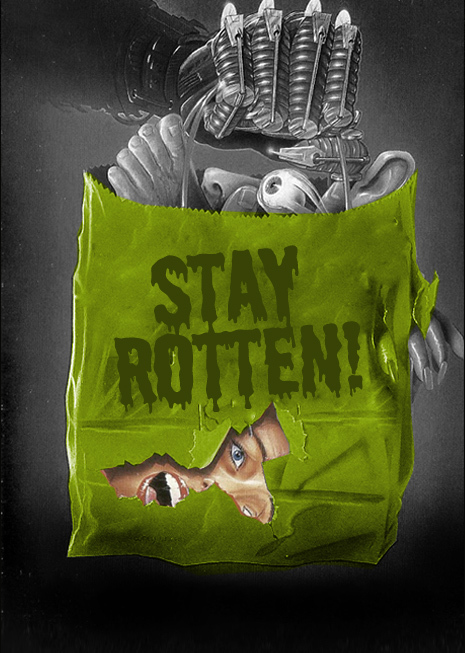 Browse our shelves and take home a Rotten Rentals VHS Pack today!